We have the east coast’s largest selection of dice, from Chessex to Koplow, Crystal Caste, Q-Workshop and more. 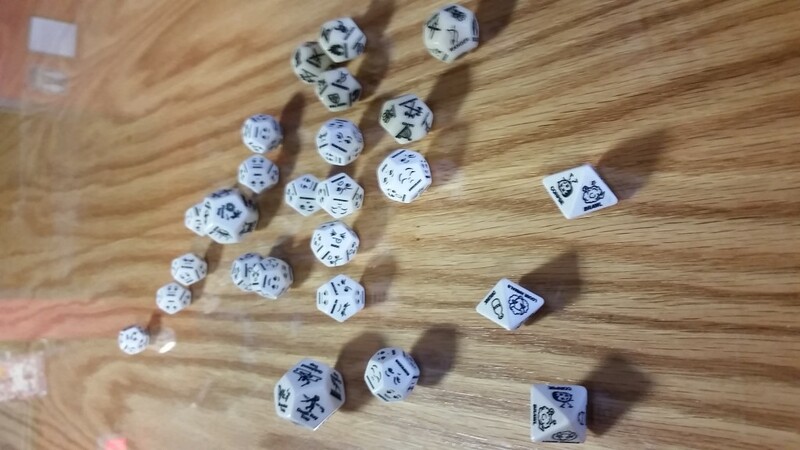 We also have our own line of custom RPG dice, perfect for use in creating random dungeons, hazards for enemies, determining the mood of NPCs, adding flavor to your bard’s song and a nearly endless array of options beyond those. Stop by and see our Wall o’ Dice, and see what a truly excellent dice selection looks like.